I love a combination of the below fresh Malaysian herbs. I have such joy blending them into a paste and cook curry chicken kapitan (kari kapitan ayam) with these. 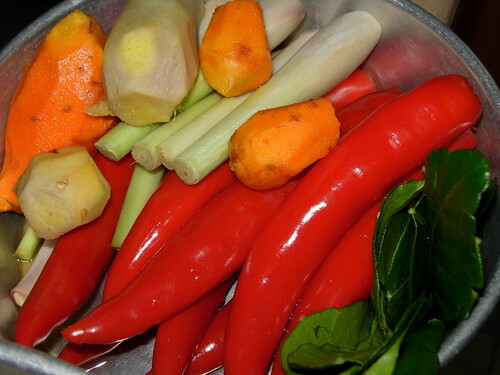 The above is a platter of fresh tumeric (kunyit), ginger (halia), lemongrass (serai), red chillies (cabai merah) and kaffir lime leaves (daun limau purut). Please note that the kaffir lime leaves are to be used as they are and not to be blended as these leaves have bitter taste. Normally, we use the young shoots and slice them finely. However, these are hard to find and most of the supermarkets sell the older leaves. The basic of curry paste are the onions and garlics. 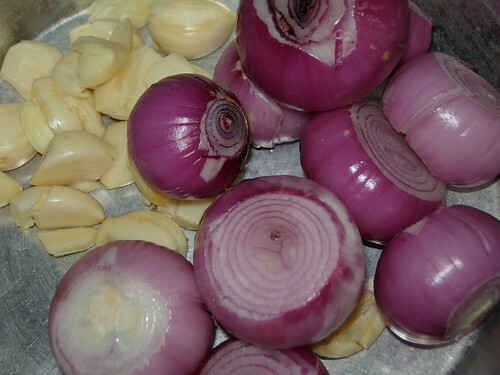 It is tough job to peel those onions and blend them but always worth the effort because the amount of onions used will determine how thick the gravy is. 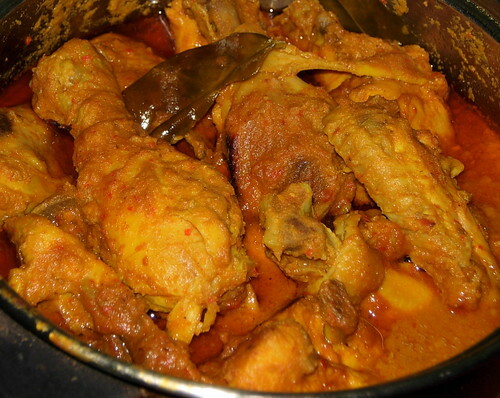 The pot of curry is cooked without any water as it is meant to be dry curry. However, there are sufficient juice from the onions and limes. Serve the curry with french loaf and it will be a hit. We are lucky that many of these fresh herbs are easily found in markets and they are really cheap too.